Cybercrime is now one of the greatest threats facing businesses of all sizes. And it's getting more serious every year. The 2018 PwC report, Pulling fraud out of the shadows reveals that 45 per cent of Australian companies were affected by internet crimes between 2016 and 2018. This is not mainly small start-ups, as 40 per cent of CEOs were “extremely concerned” about the threat of cyberattacks in 2018 – up from 24 per cent from the previous year. As the rate of online security breaches increases, it is essential to have adequate corporate security in place to protect sensitive data and your reputation with customers and partners. Follow these five steps to boost IT security, trust and confidence in your business. 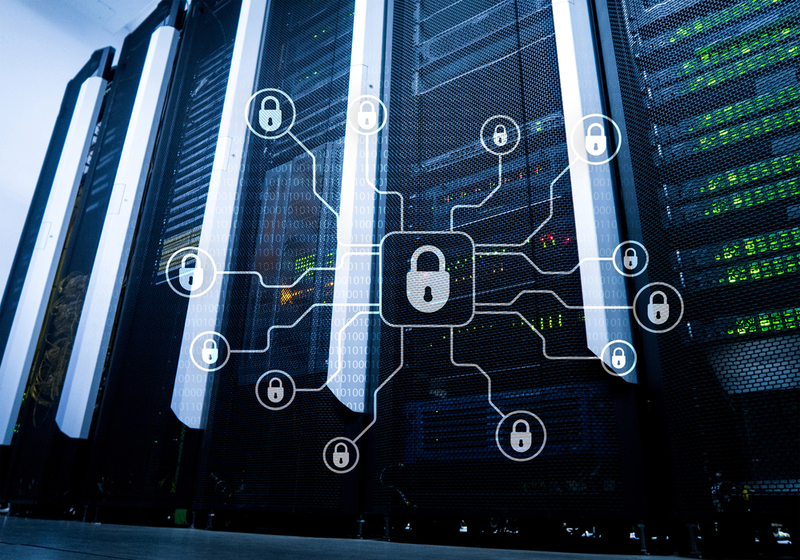 Cybercrime is a rapidly evolving area, and what may have been adequate internet cyber security a year ago may not be enough in 2019. IT decision makers should keep up to date with the latest developments and all employees should be made aware of how to spot and avoid potential dangers. If unsure about the threats your organisation faces, cyber intelligence specialists can carry out Vulnerability Assessment and Penetration Testing to identify areas that need improvement. Should a breach occur, minimise the damage and get up and running faster with regular backups of all business data. This includes websites, financial accounts, customer records, business plans and anything else youcannot risk losing. Multiple backups - at regular intervals - in cloud storage, external drives or portable devices such as USB sticks will help safeguard your data. These backups should be isolated from your main network, so they will not be affected in the event of a breach. Corporate security specialists can also advise on methods to encrypt backed-up data so these files cannot be opened easily if obtained. Online criminals exploit any weaknesses in a business. If any password can be easily guessed or broken the entire network can be exposed. Strong passwords contain a combination of letters, numbers and symbols. They should not be words in the dictionary or well-known phrases. You and your employees should use a different password for every account, and these should be changed every few months. The longer the password, the harder it is to crack. If it is difficult to invent new passwords, talk to a security specialist about using an encrypted password management system to securely create and save passwords. Not all cyberattacks originate online. Many cases of serious cyber fraud occur when computers and other hardware items are stolen from premises. As well as ensuring your office is locked when it's not in use, individual computers and laptops can be physically secured to desks using their Kensington lock ports. Software that tracks the location of devices can also be installed. Any disposal of computers, USB sticks or other devices should include the thoroughly wiping of senstive data to avoid them falling into the wrong hands. Those who work closely with other businesses or plan to acquire business assets, should carry out corporate due diligence checks to identify possible risks in the target company that could impact your organisation. A cybercrime investigative agency can assess a company and identify risks and methods to address them. This is especially vital for acquisitions in countries or industries that are prone to cyberattacks. IFW Global has an experienced team of cybercrime investigators who help clients to protect data and recover stolen assets in Australia and overseas.